Lynden Door introduces the VanAir door, a stylish and modern take on room to room ventilation without compromising sound control. 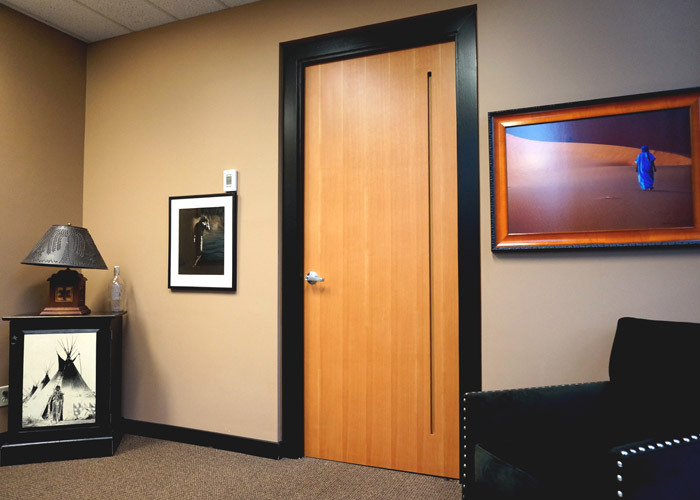 The VanAir door helps facilitate airflow with sound privacy and aesthetics in mind. 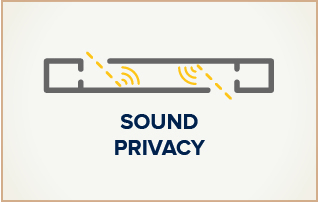 Airflow and sound privacy are key components of a comfortable indoor environment. 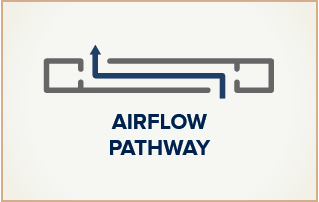 More often than not, they are negatively correlated – the more airflow, the higher the chance of sound penetration. Modern buildings are designed with greater emphasis on ventilation and balanced airflow movement from the supply to exhaust. A balanced system is able to reduce the load on the ventilation system and reduce leakage or infiltration across the building envelope. 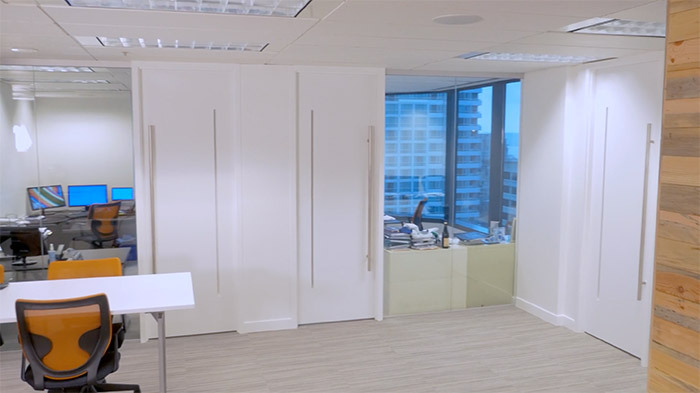 Holistically designed to improve Heating, Ventilation and Air Conditioning (HVAC) performance and maintain sound privacy, the flush ventilation slots outperform acoustically baffled door/wall grilles. It is a cohesive, single-source unit, engineered, tested and fabricated for full structural integrity. 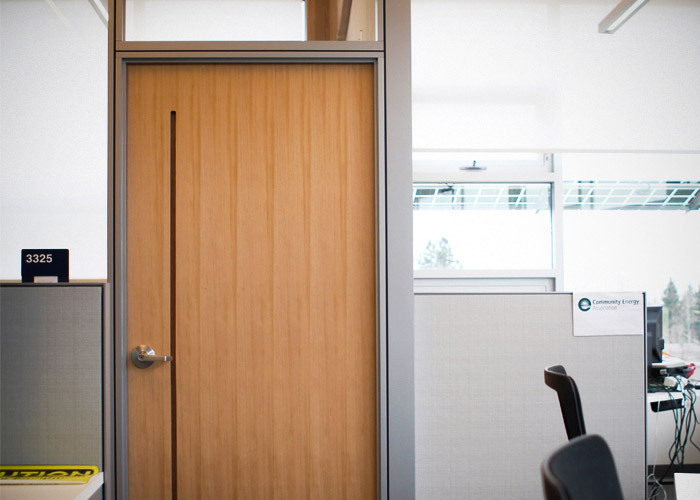 With VanAir doors, there is no need to pierce the door, or specify proud, surface-mounted aftermarket grilles that may interfere with kick-plates or be a mismatch for door hardware finishes and the surrounding design goal. 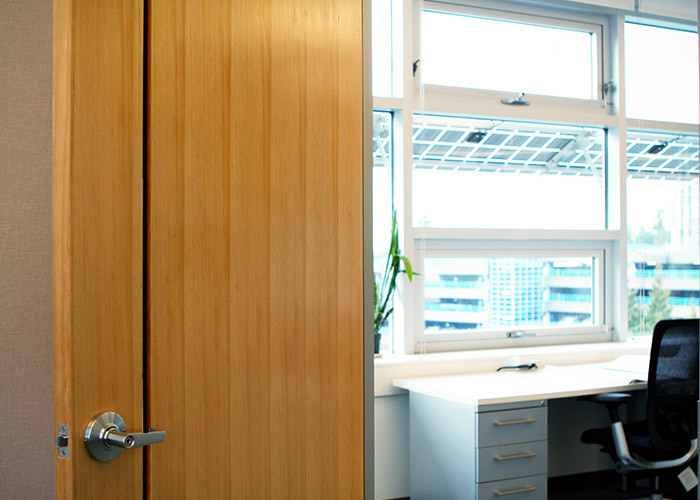 Modern ventilation demands also require undercutting doors. Not only is this a sound privacy issue, it creates an unsightly, unfinished look. 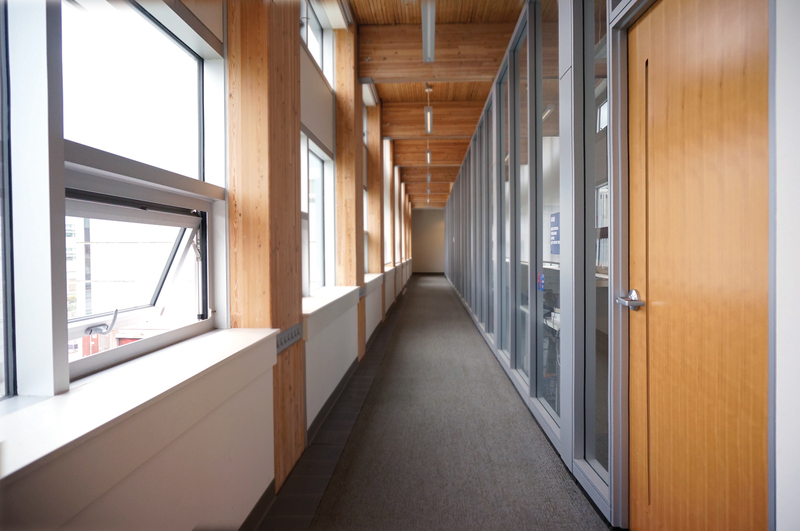 Floor transitions become more apparent and light penetration can detract from occupant comfort. 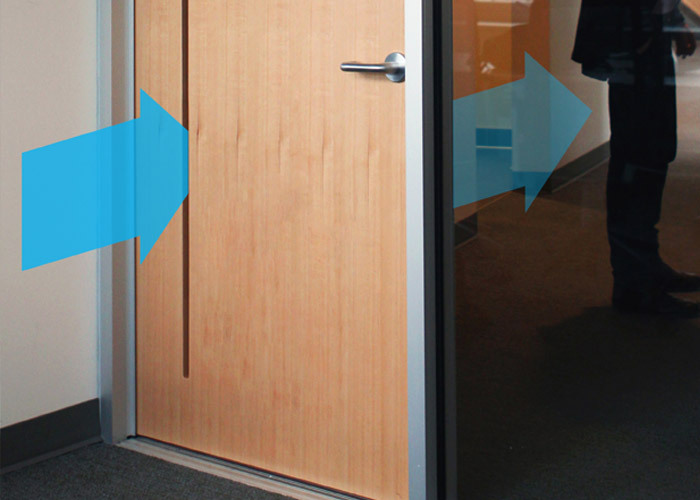 VanAir doors by Lynden Door allow for consistent 3/16 inch floor clearances. · Suitable for commercial spaces, single and multi-family residential, hotels, schools and healthcare facilities. · Available up to 4’0” in width and 8’0” in height. · VanAir is available in a variety of paint grade options, factory finished and veneer. Air flows in from one side, through the door core and out the opposing side driven by pressure gradient. into the door core to absorb high frequency sound. 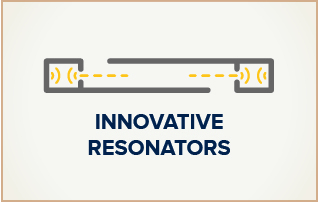 Resonator constructions are integrated into the door stile to absorb low frequency sound as it travels out of the airflow pathway.